Brooke Barber, President of Street Spice Food Truck, grew up in Rock Hill, SC and went to Winthrop University as a Broadcast Journalism major and a German minor. While working at Olive Garden in college, she met her now-fiancé and business partner, Chef Daniels. Chef Daniels is originally from Brooklyn, NY and moved here to go to Johnson and Wales. 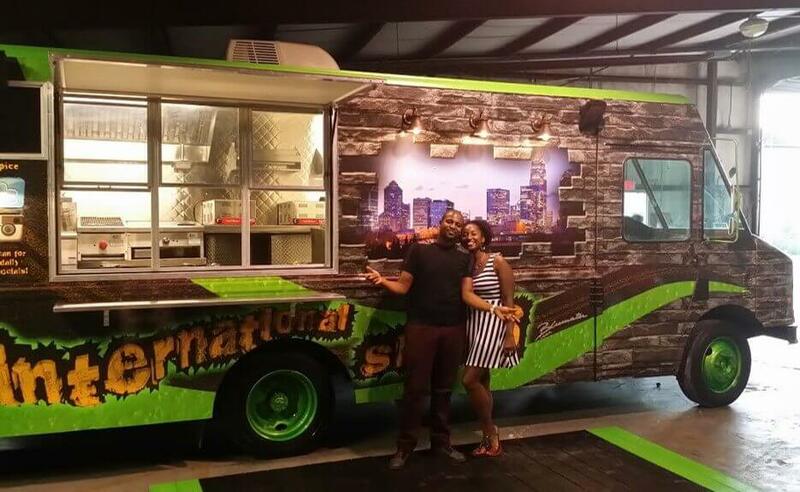 Together, Brooke and Chef Daniels own Street Spice Food Truck. Brooke handles the sales/marketing/business management side of things, and Chef Daniels is the Executive Chief, focusing on the menu, running events and managing the team. The truck has been open for two years now, and in that time, Brooke has gone back to school, completing her Executive MBA from UNC Chapel Hill. The two have been living in Charlotte for 10 years. CBRBiz.com: When you tell people you have a food truck, what is the first question/reaction you receive? Brooke Barber (BB): That is so cool! Or Wow, I’ve always wanted to open a food truck. Most people think owning a food truck is the coolest thing ever, which it is, but it’s also a lot of hard work. CBRBiz.com: Tell us about the food you offer. Where do you source your food? What is your favorite item on the menu? 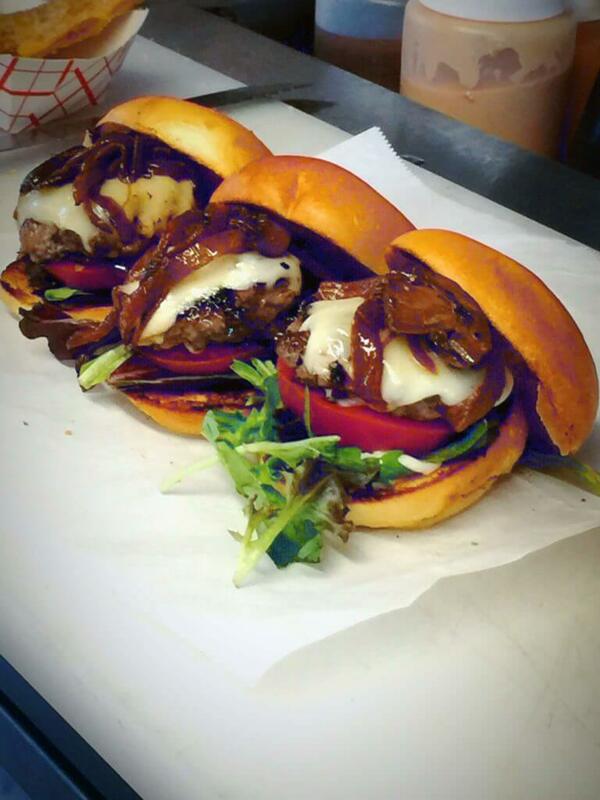 BB: Our concept is global street food and sliders. 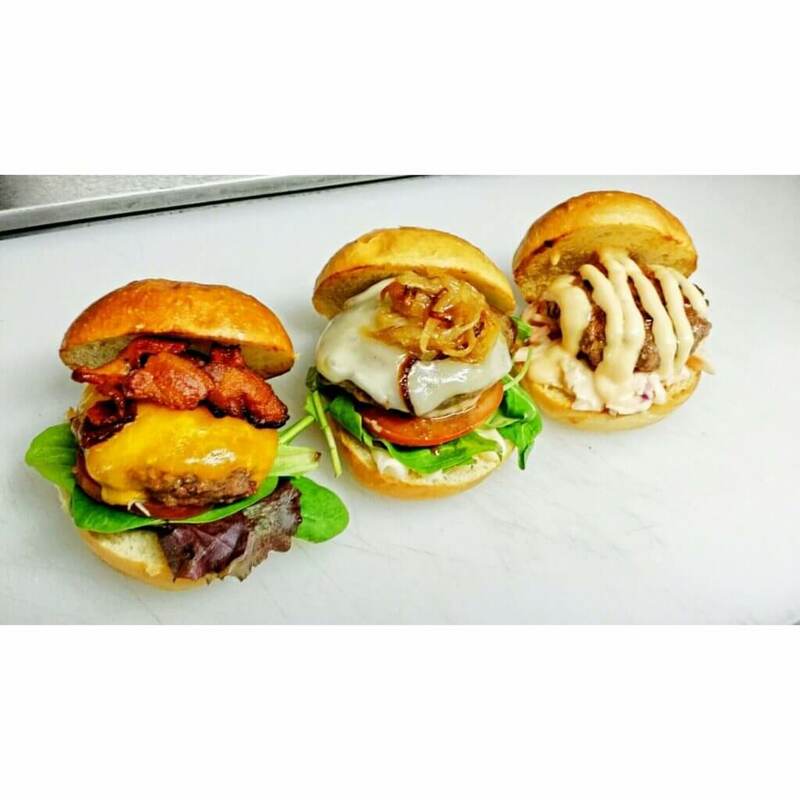 Some of our signature sliders are our Brazilian Churrasco Steak, Jamaican Jerk Burger, and Cajun Crab Cake Sliders. Our Crispy Brussels Sprouts and Smoked Gouda Mac ‘n Cheese are also popular items. My favorite items are our Spinach and Three-Cheese Wontons. They are so good! Our chef used to make them every year at our New Year’s Eve party, and people loved them so much we added them to our food truck menu. We also offer Banana and Nutella Wontons. CBRBiz.com: What are some of the challenges unique to starting a food truck business, and how did you overcome them? BB: I think the biggest challenge is accepting the fact that a food truck business is not just about the food. You actually have to learn a lot on the mechanical side about how to maintain the truck, the generator, and other pieces of equipment, etc. Beyond this, the truck is super hot in the summer and cold in the winter and this has a variety of impacts, from the generator potentially overheating in the summer to the water pipes freezing in the winter. Staying calm and having a good network are critical to success. We overcome these challenges by staying focused on solutions. There is ALWAYS something unexpected that can happen in this business when you’re dependent on the actual truck working just to be able to open. We’ve learned to keep mechanics on speed dial and to also leverage our network of other food truck owners. We help each other out with loaning equipment, and even borrowed a truck for an event once when we were out of order but had client commitments. Staying calm and having a good network are critical to success. 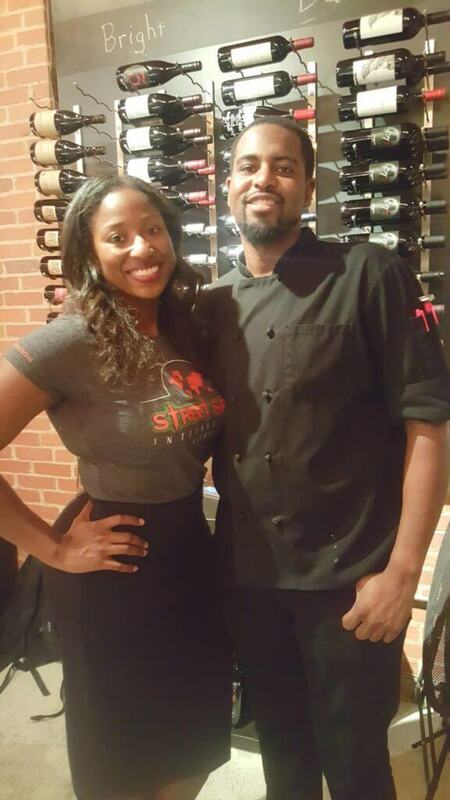 CBRBiz.com: You and Chef Daniels are the co-founders of Street Spice Food Truck. What inspired you to start your own food truck? BB: Street Spice was Chef Daniels’ concept and idea. He had years of experience in restaurants and was working in management positions, but he never had the opportunity to develop his own menu. We decided to start the truck to give him that opportunity. He grew up in Brooklyn and was used to a lot of diversity in the food scene there. 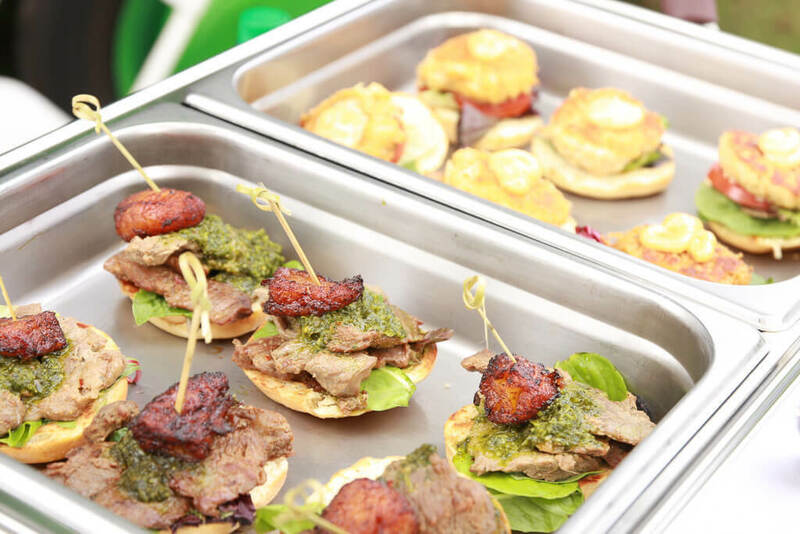 His goal was to bring some of that diversity down to Charlotte with the global street food concept and deliver a lot of our menu via sliders so people could try different things when they come to our truck. So far, the response from the community has been amazing. CBRBiz.com: Have you always been passionate about food? How about entrepreneurship? BB: Chef Daniels has always been passionate about food and actually specialized in culinary as part of his high school program. I’ve always been a huge foodie – even when not the best cook. Entrepreneurship is something that both of us have always been interested in. We love watching Shark Tank and Restaurant Startup, and I feel like we’re constantly discussing ideas to grow the business and expand. We’re always looking for new opportunities. I went back to get my MBA and focused in entrepreneurship to better prepare us for success in this business and also in our future ventures. We ask each other “Hey, are you still loving this?” and as long as the answer is yes, we keep going. Entrepreneurship is rewarding but also hard. I tell people all the time that you work harder for yourself than for other people, and for us, we really do work seven days a week right now, but we love what we’re doing, and we know we’re not finished yet. We make it a point to enjoy the journey and check in on each other. We ask each other “Hey, are you still loving this?” and as long as the answer is yes, we keep going. We also love that we’re motivating our friends and family and staff to pursue their dreams. It’s a great feeling to hear other people say how we’ve inspired them to take the lead to start their own business. That means a lot to us and is also motivation for us to continue growing. CBRBiz.com: Is this your first entrepreneurship endeavor, or have there been others? Tell us about your background in business. BB: This is our first large scale entrepreneurship endeavor. We did briefly have a special events baking business about a year before we opened, but it was really meant to be a first step towards the food truck and to help us think about how we would work operationally. On a funny note, before we opened the business, Chef Daniels was working at Marriott and spent several months out of the state, helping to relaunch a restaurant at one of their newer properties. I was so bored while he was gone that I got my insurance license and started selling insurance! I guess you could say I’ve always had an entrepreneurial mindset. I really don’t like being idle, and if I have downtime, I spend a lot of it thinking about how we could be better, where we can develop partnerships, and how we can continue to grow and expand. CBRBiz.com: For entrepreneurs interested in going into business with family or friends, what advice would you offer? What are some of the challenges? The benefits? BB: My advice would be to make sure each of you brings something different to the table. I think our partnership works because our expertise are in separate areas – I manage the Business/Sales/Marketing side, and he is our Executive Chef. We both stay in our lanes and trust each other to do their part. There is obviously a lot of cross over and some overlap for sure, but for the most part, we manage separate parts of the business day-to-day. I would also advise people who go into business with family or friends to make sure you can find the separation between business and relationship. It’s easy to always want to talk about work, but you have to find time to turn it off. I really struggle at that because I’m always thinking at 100 miles per hour, but DaRel helps to keep me balanced. We set aside date nights when we go out or even do dinner at home, but there are no phones and no shop talk. It makes a huge difference in keeping us connected outside of the business. I would also caution against hiring too many friends when you’re starting out. It’s a natural thing to do, and we did it as well, but we were challenged when we felt like friends who worked for us and had second jobs valued their other employers more. For the most part, our current team doesn’t consist of personal friends, and it has been much smoother since then. It’s hard to not damage relationships when you’re in business together. I think it can be done from a mutual owner perspective, but even more difficult if you hire friends/family to work for you. CBRBiz.com: Which local resources have helped you the most? BB: Wow, there have been so many! I would say Carolina Small Business Development Fund has really made a difference in our journey. They offer funding and resources dedicated to small businesses, and they were instrumental to our ability to grow as quickly as we did. The Charlotte Regional Visitor’s Authority has also been an amazing organization to work with. 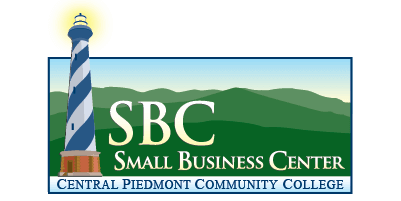 They do a great job of making sure we are getting value out of our membership and in providing introductions to other business owners in Charlotte where there are partnership opportunities. Lastly, I cannot say enough how great the local food truck community has been! When we first opened our truck, a lot of the owners were very friendly and helpful in coaching us in how to get things going. The owners of Comfort Foods food truck and Papi Queso food truck helped us so much when we were getting on our feet. CBRBiz.com: What do you think makes Charlotte’s business climate unique? BB: The Charlotte business climate is unique due to the huge growth opportunities. If you live here, you see the growth and you can feel it; it’s very real. There is a vast amount of opportunity available. 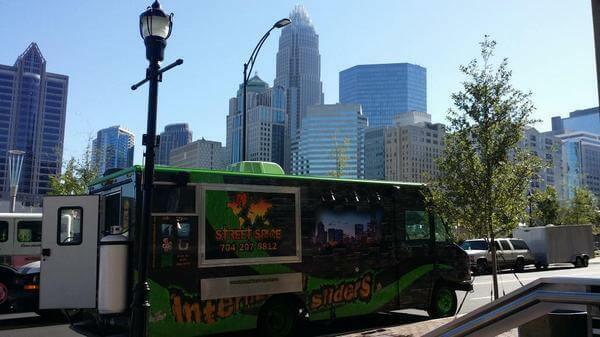 We also love how the ‘go local’ scene in Charlotte is developing. Every neighborhood has their own scene and their own restaurants, coffee shops, etc., which is amazing! We can’t wait to see how Charlotte continues to grow and to be a part of that growth. CBRBiz.com: Where do you see your business in 5 years? 10 years? BB: That is a great question. We try not to get too far into the future because things change so often. Every year so far, the dynamics of the market and the food truck industry have evolved in ways we did not anticipate. I think we’re pretty open that we’d like to open a restaurant. We think our concept is perfect for a fast casual restaurant. It would be great to open 2-3 locations around the city, and if they are successful, who knows what’s next? CBRBiz.com: Is there anything we didn’t ask that you’d like to add? BB: I’d just like to add that we are so thankful for the Charlotte and Rock Hill communities for welcoming us as they did and giving us a chance to share our passion for gourmet global foods. The support has been amazing! When we hear people say they follow our truck and have driven 20-30 minutes sometimes to find us, it really warms our hearts. We are so very blessed and fortunate for our success so far, and we plan to stay connected to the local communities throughout our journey. We are so very blessed and fortunate for our success so far, and we plan to stay connected to the local communities throughout our journey. We are also very passionate about giving back, and we’ve donated food to homeless shelters in the past. It’s our goal to keep participating in programs to give back and to also develop more of our own as we’re able to. Thank you Brooke Barber and Chef Daniels for sharing your store with us. 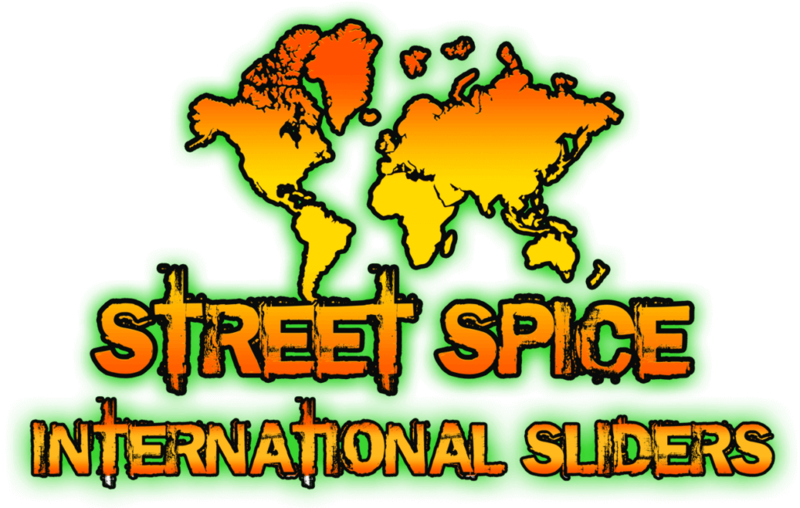 Learn more about Street Spice Food Truck and check out their menu at www.spicestreetfoodtruck.com! Share your thoughts with us on Twitter @CBRBiz.